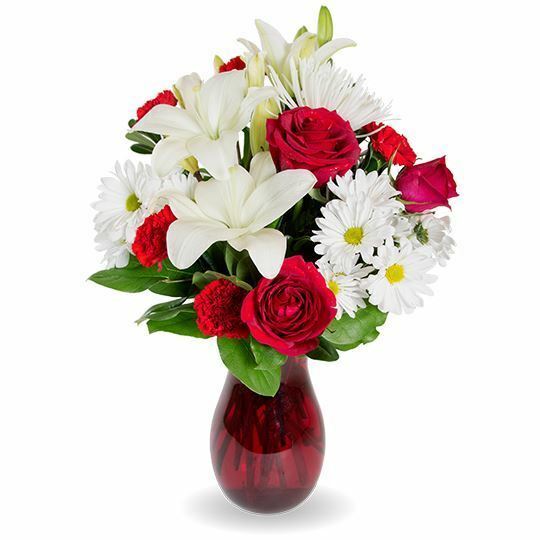 This selection of red roses, white lilies, chrysanthemums, and seasonal greenery is presented in a ruby vase, an element that makes these classic flowers unforgettable. 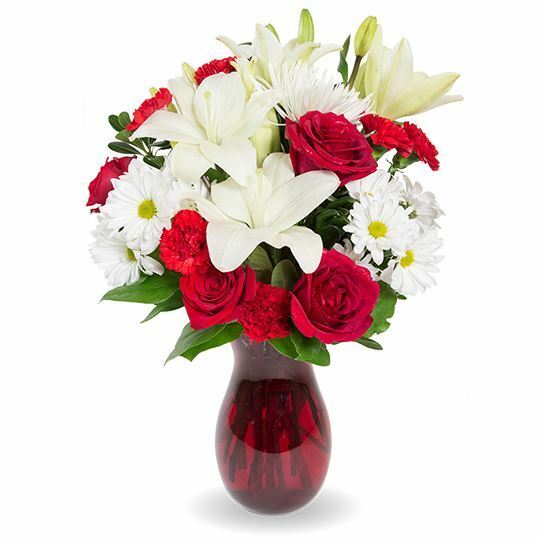 Elegant arrangement! The red and white colors made it so classic. Flowers looked good to me. Delivered as promised. A very nice arrangement. We were happy with our order! I was attracted to the colors. 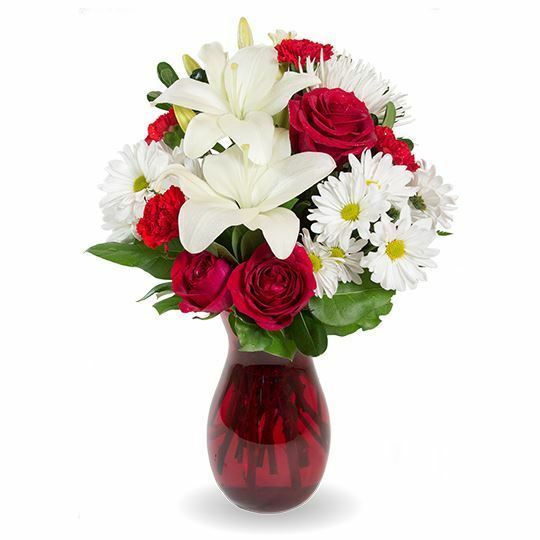 They bring a nice touch to the service and are classic and elegant. Smelled so good! I was amazed at how fresh they were when they arrived. The florist did a great job selecting the most beautiful flowers! Stunning! We bought two of the premium size for either side of the casket. They were the perfect size. Did not see the arrangement myself, but my brother told me they arrived on time and looked nice. These were a touching tribute for Martha. No complaints here! They looked and smelled great. Almost thought they were fake! They looked so good. Couldn't have asked for anything more. Even the vase looked nice against the white pillars we put these on. I'm glad we ordered from here!! The best online order I've ever had for flowers! The flowers were so fragrant and elegant. I saved a few of these after the funeral to put on my desk. They are a beautiful reminder of my mom, and I wish they would last forever. Thank you. So impressed with the way these turned out! My family and I thought these were beautiful.